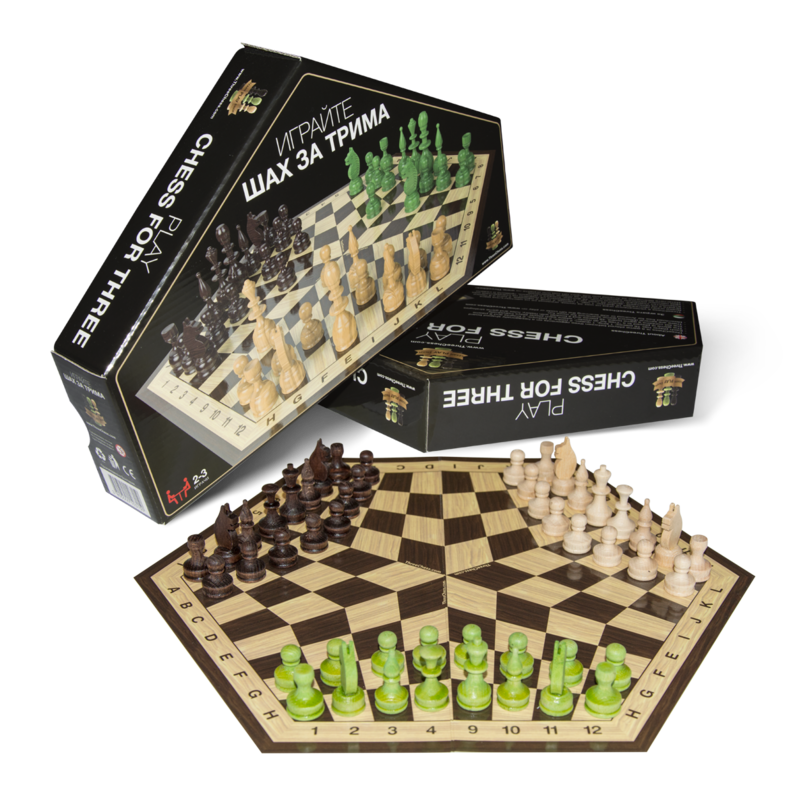 Exciting variant of chess for players or newbies who want to learn how to play chess for three. 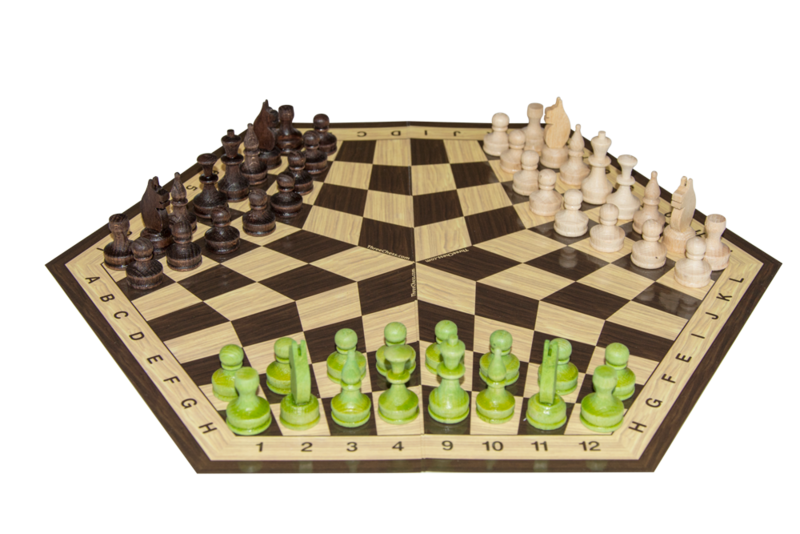 The board is small and comfortable to play on when you travel. The figures included are wooden. 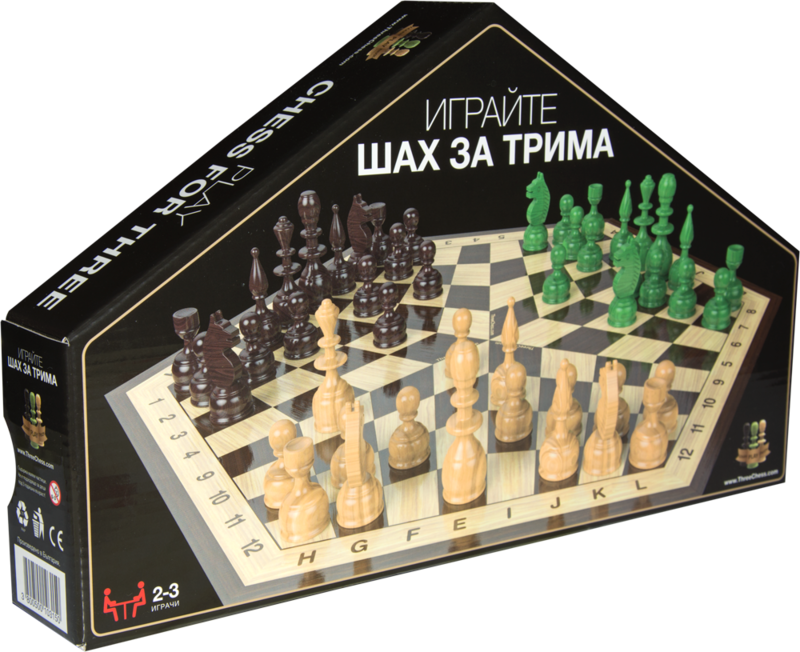 They are in three colors - white, black and green. Everything is made with high quality. 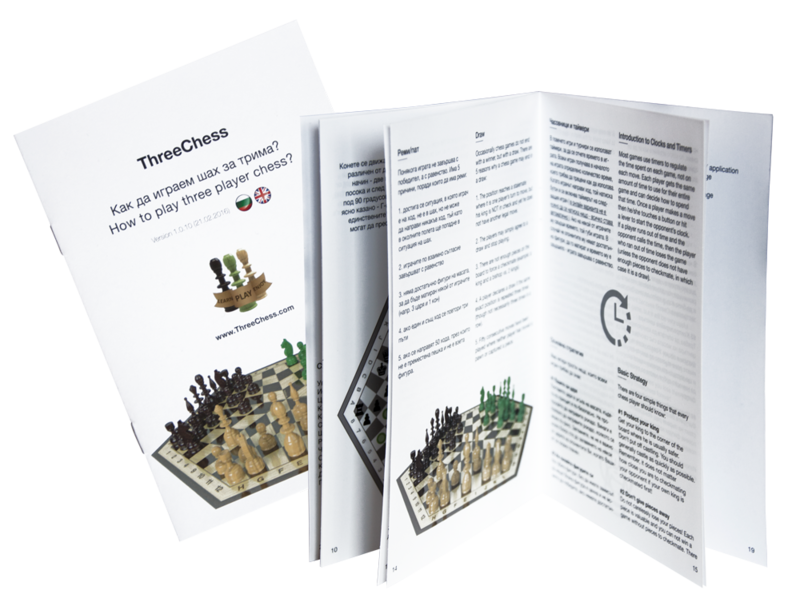 There is also a small book with rules, instructions, strategies and additional variants for gameplay, included in the box. 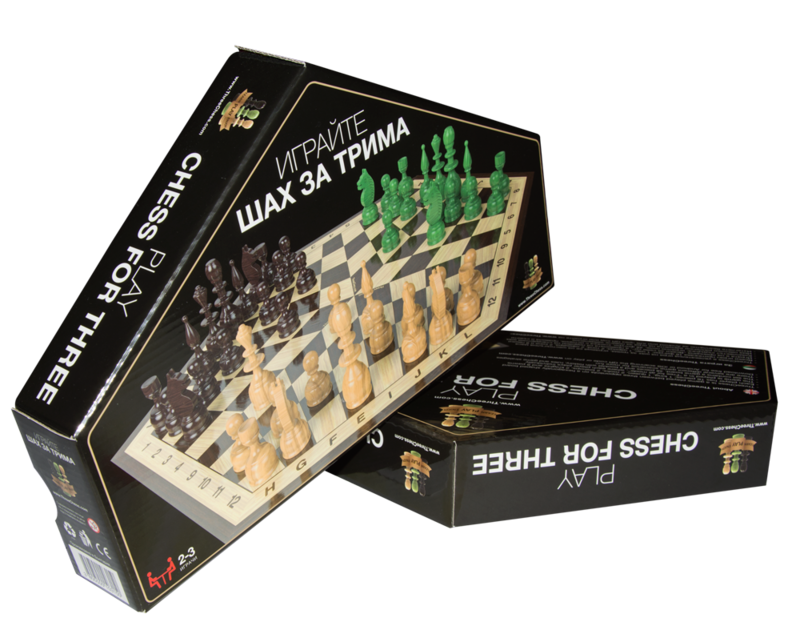 Play ThreeChess online and offline and have a lot of fun! Figures are mostly handmade.